The BBC's film of "The Most Incredible Thing" will be broadcast in the UK this Friday, July 1st, at 8 pm on BBC4 TV as part of its Contemporary Dance Weekend. 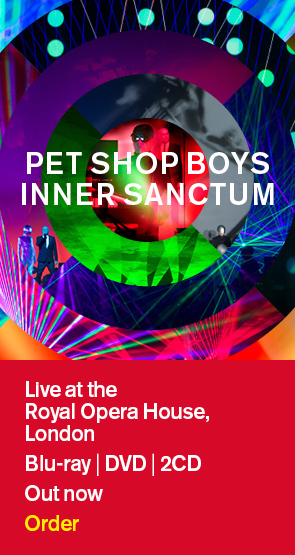 According to the BBC, "the programme also includes exclusive behind-the-scenes access and interviews with the Pet Shop Boys, Javier de Frutos and others involved in this ambitious new production." To read the full BBC press release, and for details of other transmission times (including HD), go to the link below. A related documentary, "Dance! The Most Incredible Thing about Contemporary Dance", will be broadcast on BBC4 this Thursday, June 30th, at 8 pm. Tickets for next year's London performances of the ballet at Sadler's Wells, from March 27th to April 7th, will go on sale soon. Full ticket information will be here when we have it.